Today’s bike ride was one of Gene’s routes that basically goes nowhere in particular, and it does it without going over any substantial hills at all. After yesterday’s adventure, this was just the thing I needed. It was a perfect spring day. Cool in the morning, and warming up nicely. 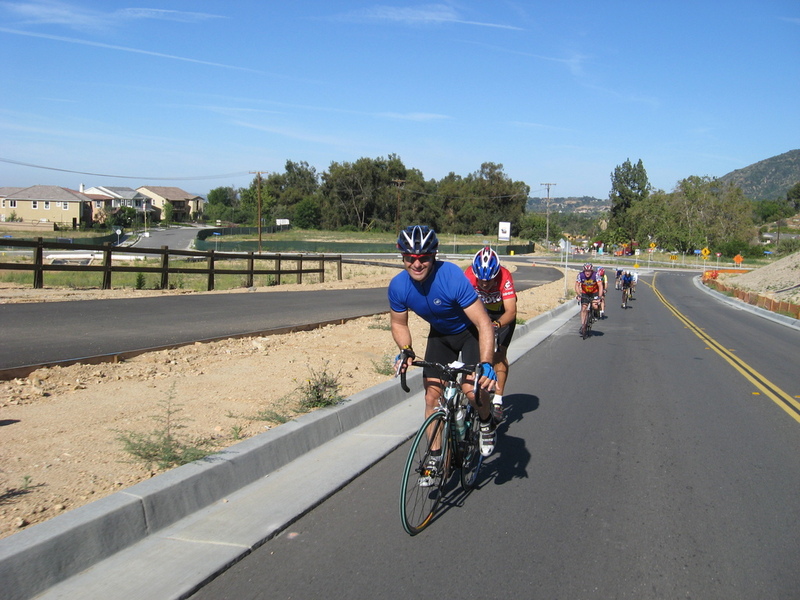 We headed out east through Arcadia and Monrovia, and then up the San Gabriel River bike path. Then back down into Azusa and out into Glendora. Turning south, we went down into West Covina before turning back west and making a loop back to Monrovia, where we stopped for a snack at Merengue. Then straight back home through Arcadia. It was a nice little ride. And I was glad for the lack of hills, since my legs were a bit weary from the stairs yesterday.